Artistic rendition of Nigeria's Nigcomsat. The federal government of Nigeria has been advised to sell off the country’s satellite, Nigcomsat-1R, to the private sector. In a report published by The Nation and posted by Ibrahim Apekhade Yusuf, making this appeal over the past weekend was Mr. Adebayo Banjo, the Chief Executive Officer of the Disc Group of companies. Speaking in an interview in Lagos, Nigeria, the technocrat stated that handing over the satellite to the private sector would allow for better management and proper utilization within the country and in Africa. 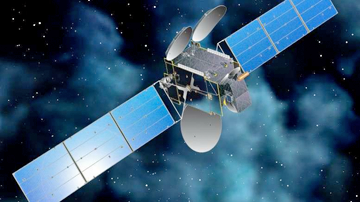 According to Banjo, those managing the satellite have not marketed its services well, hence, the poor patronage. The former president of the Nigeria Internet Group (NIG) said that those managing the satellite forgot that customers had other choices apart from Nigcomsat-1R. “Perhaps that is why they want to pass a law to force government institutions to patronize them. Why do we always want to force things — business does not work like that — make your services reliable and competitive,” Banjo added. The lawmaker recalled how the federal government contracted Kosmo–3m Rocket from Russian Plesetsk Spaceport to launch its first EO satellite, the Nigeria Sat-1, on September 17, 2003, at the cost of 30 million dollars. Hosea noted that Nigcomsat-1 communications satellite was launched in 2007 in China at the cost of N200 million, but failed in orbit in 2008 after running out of power, owing to an anomaly in the craft's solar array. While Nigcomsat-IR was re-launched in 2011 at no extra cost, Nigeria Sat-2 and Nigeria Sat X satellites, built at a cost of 35 million dollars, were launched the same year. NigComSat-IR has a service life of at least 15 years and is designed to meet the needs of telecommunications, broadcasting, broadband, security and other communications solutions within the African, European and Asian markets. Hosea said that since 2003, the federal government had spent about N85 billion on the five satellites, which were meant to provide communication, data and satellite images for government agencies and the private sector. He said that this was with the aim of saving billions of foreign exchange and generating revenues estimated at 20 billion dollars for the country. “However, they were always capable of offering same services as any other offshore service provider. The multi-billion naira communication satellites are under-utilized in space due to low patronage by government agencies and private companies. They continue to spend money running into billions of naira to procure satellite images from other service providers, services which Nigeria’s satellite could supply, thereby depleting our foreign reserves,” he said. Hosea argued that government MDAs have a mandate to patronize NigComSat Ltd. and National Space Research and Development Agency (NASRDA), which manages Nigeria’s LEOs satellites as a way of conserving the billions of naira being expended unpatriotically.